- 4/4 size solid wood violin set. 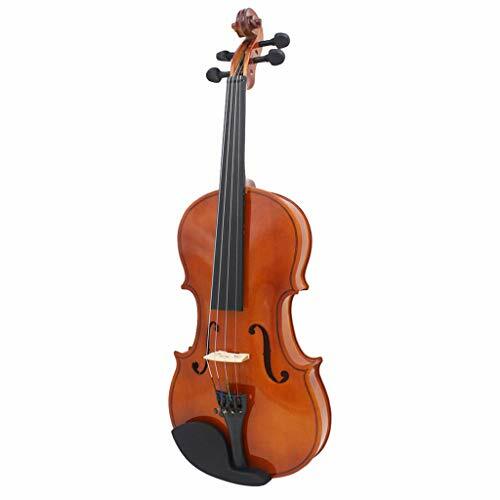 - With violin rosin,violin bow,violin clean cloth and violin case. - Made of basswood,light weight and hard texture. - Sound quality is crisp and soft. - Suitable for beginner and music lover. 4/4 size solid wood violin set. With violin rosin,violin bow,violin clean cloth and violin case. Made of basswood,light weight and hard texture. Sound quality is crisp and soft. Suitable for beginner and music lover.